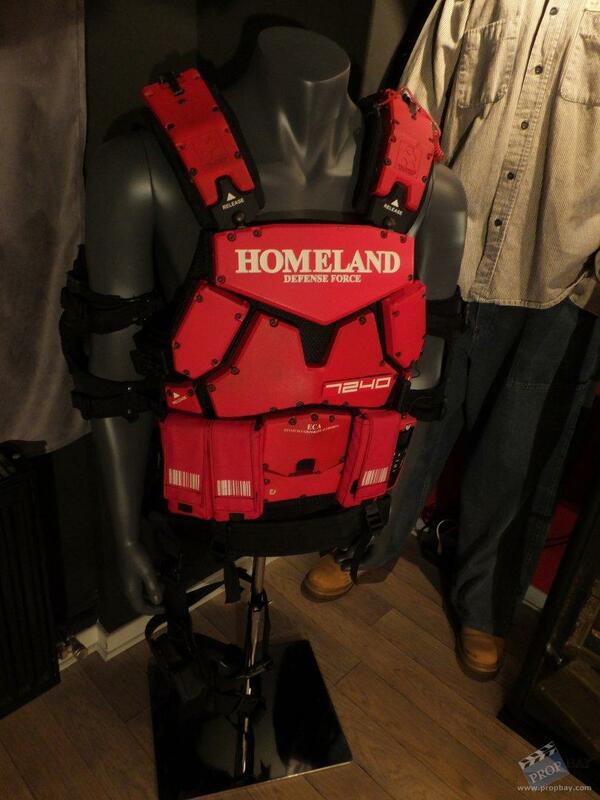 Very heavy and highly detailed Homeland security vest made by WETA. 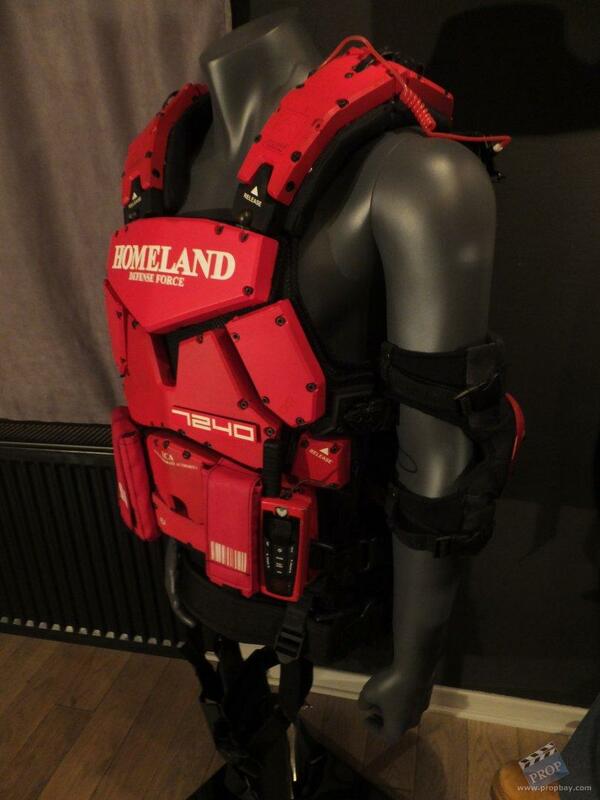 Included elbow and knee pads, real walkie talkie with addtional cabled light effects (not tested) and a gun holster. [FONT=Arial]Also included in the set are two Homeland Defense earbuds that go around the ear with curly red wire and then continue with a black wire with clips on the end. 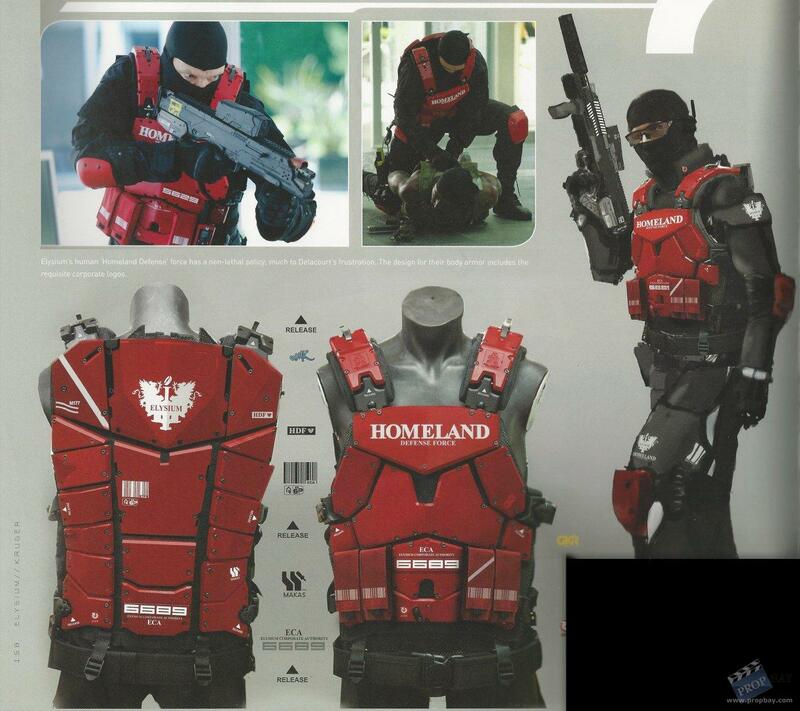 This suit also comes with a set of lights that are unattached currently to the vest. 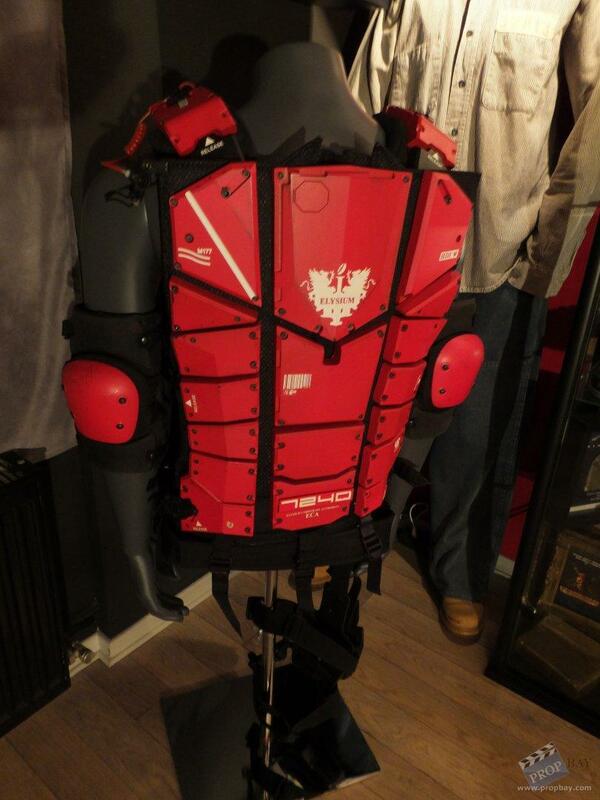 While not used in the final cut... it is nicely featured in Elysium "The Art of the Film" book and a beautiful artefact of the production and design made by WETA Workshop. 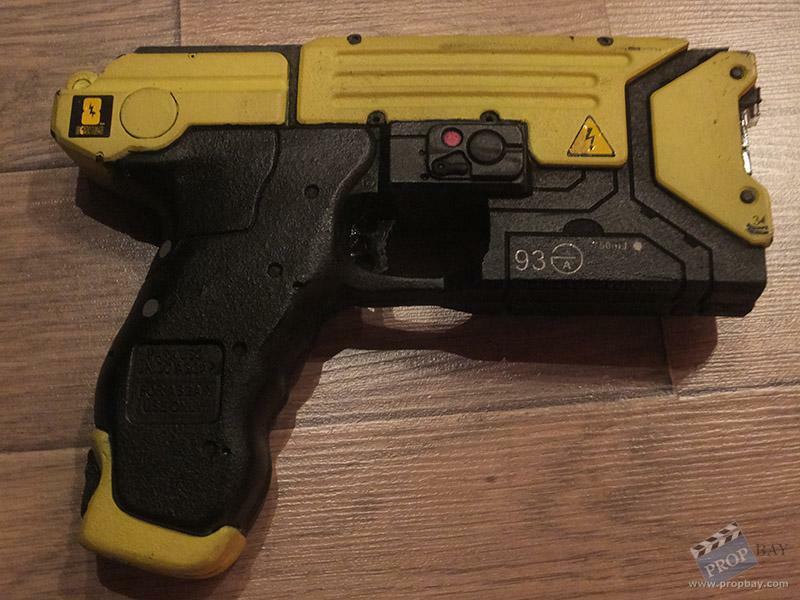 Recently aquired one of the original rubber tasers which perfectly fits into the holster of this set. Added: 01-08-2014 - Viewed: 4362 times.